At twenty-eight, Muhammad Kaiser Abdul Karim is already set to make waves in the field of neuroscience. 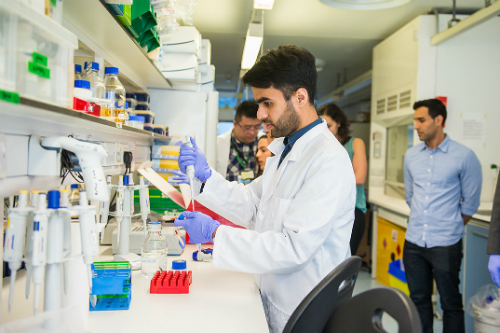 The Monash alumnus is currently pursuing his passion at the University of Cambridge in the United Kingdom, where he is completing a PhD in clinical neuroscience, thus fulfilling one of his longstanding scientific interests. Kaiser presently works on researching the generation of glutamatergic neurons, which have a large part to play in how information is disseminated in the human brain. His laboratory at Cambridge’s Department of Clinical Neurosciences has come up with an efficient way of creating these neurons from human stem cells – a discovery with potentially life-changing applications. “Thanks to the simplicity and cost-effectiveness of deriving these neurons, they hold great potential to be developed into a research tool to study brain diseases, uncover new drug therapies or even as a source for cell-based therapies,” Kaiser explains. Prior to enrolling in his PhD program, Kaiser completed a Bachelor of Science in Medical Bioscience and an honours degree in Bachelor of Science at Monash University Malaysia’s School of Science. It was then he first discovered his passion for neuroscience. “I first got interested in neuroscience during the first year of my degree, where I had the opportunity to take up two psychology units as electives”, he says. “That was a good introduction to the field, as I had the opportunity to learn the basic biology and anatomy of the brain and its functionality in terms of behaviour and sensory perception.” His interest in the field further grew during his honours year, which is when, with his father’s encouragement, he began seriously thinking about his PhD. Making it to Cambridge might have stayed a dream for many, but Kaiser had his eye on the prize from the start. An excellent student, he was academically published in the International Journal of Physiology, Pathophysiology and Pharmacology by the end of his Honours degree – a success he says is partially due to the invaluable support of his peers and supervisor. Kaiser feels that coming from the Monash environment helped him achieve his goal of studying at Cambridge. “I have always challenged myself to be better. Knowing I had a world-class quality education in science at Monash gave me the confidence to apply to Cambridge,” he shares. 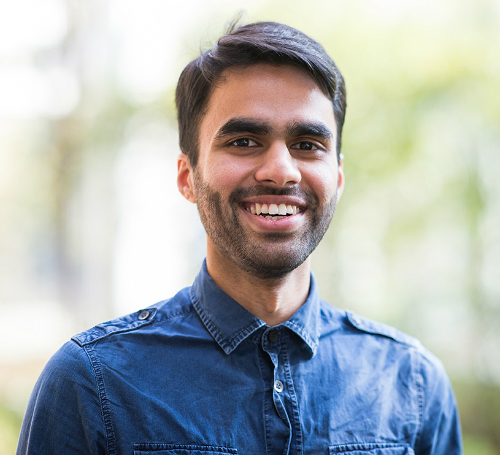 His honours experience developed the skills he needed to conduct independent research, such as budget planning, collaboration, and experiment design, and allowed him to ease into his PhD studies. The globalised, international environment at the Malaysia campus was also preparatory, helping him make the adjustment to living and studying overseas. “At Monash, I was amongst an international mix of talented and brilliant young minds, which is no different to Cambridge,” Kaiser points out. “Coming from a small town in Selangor, studying at Monash provided some of the informal education one hopes for when studying abroad. There, I developed a globalised view of my world. In addition, the quality of the education and training I received was really good. Although I have had to learn numerous new things for my PhD, seldom did I feel like there was a steep learning curve.” Kaiser’s academic rigour eventually earned him a competitive Yayasan Daya Diri-Cambridge Trust Scholarship, which now goes toward his doctorate. As he undertakes his final year of postgraduate study, Kaiser holds only fond memories of his time at Monash Malaysia. In addition to being a high-achieving student, he actively conducted community volunteer work with the Leo Club and also participated in the university debate society. As things stand, he expresses no regrets about his university of choice. In the years to come, Kaiser will be finishing up his PhD and seeking to continue scientific research, in either academia or the industry. When he looks back on his undergraduate years, he sees them as times of scientific discovery and fun extracurricular exploration. “What I enjoyed most at Monash was the experience of being in an environment conducive for learning. Everything, from the open and collaborative spaces throughout the university, the well-stocked library and its comfy beanbags, to the rock-climbing wall in the center of the concourse, helped in making sure we had the best education and had fun at the same time,” he shares. This strong foundation is something he will be able to carry with him throughout his PhD, and onto his next career journey. The Bachelor of Science (Medical Bioscience) is now known as Bachelor of Medical Bisocience. For more information on the courses offered at the School of Science, Monash University Malaysia, please visit www.monash.edu.my/science.